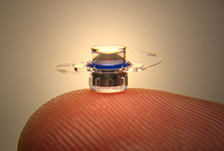 Dr. Saul Ullman was the first surgeon in the Gulf Coast Region (and second in the state) to implant the recently FDA-approved implantable miniature telescope (IMT). The IMT is available to treat end-stage macular degeneration (either wet or dry form), in which both eyes have lost central vision. The IMT helps by using the healthy areas of the retina to see instead of the area affected by the macular degeneration. 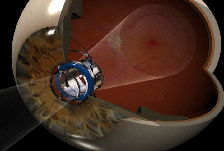 The IMT is a very small telescope that is implanted inside the eye at the time of cataract surgery and provides approximately 2.7 times magnification. The IMT differs from a standard intraocular lens (IOL) in that it is a much larger implant and requires a large incision with multiple sutures to close the eye. The IMT does require a motivated patient that will need to undergo a visual rehabilitation program after the surgery in order to achieve the full benefit of the IMT. There are very specific criteria that have to be fulfilled before a patient with bilateral end stage macular degeneration can be considered for the IMT procedure. A multi-disciplinary team approach has been created for patients in the Gulf Coast region to be evaluated for this procedure to assure the best possible outcome. Potential candidates for the IMT procedure (bilateral end-stage macular degeneration patient with a cataract) are initially screened for eligibility by Dr. Ryan Tarantola or one of his associates at Retinal Specialists. If it is determined that a patient is a good surgical candidate for the IMT procedure he/she would then be referred to Dr. Ullman for their surgical evaluation. 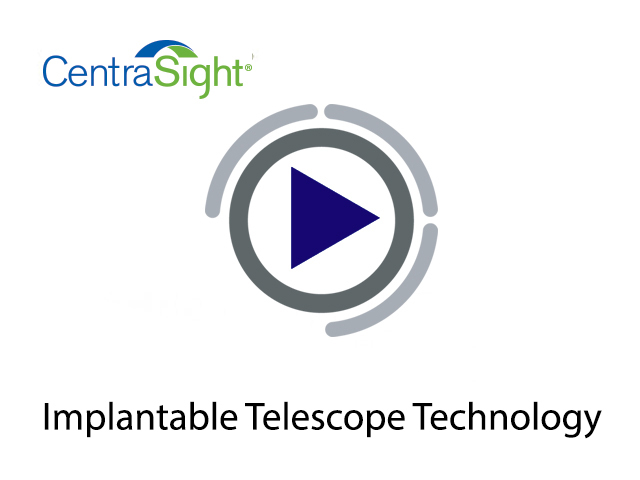 The procedure is currently only FDA-approved to be performed at the time of cataract surgery.